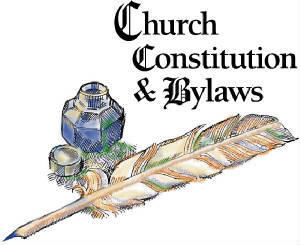 The purpose of this Constitution and Bylaws is to declare our Faith, Function, Purpose and Organizational Structure. Dayspring Ministries International is founded November 15, 2002 in order to restore New Testament Christianity and, herby renews our allegiance to Christ our Lord to make more effective our coming witness in Him, herby adopts this Constitution and Bylaws, June 1, 2004.
and any other organization that is in the future brought into the fellowship. Dayspring Ministries International acknowledges as its Sole Head, Jesus Christ, Son of God and Savior. It looks to the Written Word of God in the Holy Scriptures and to the presence, power and energy of the Holy Spirit to prosper its creative and redemptive work in the world. In accordance with the teaching of our Lord and the practice among evangelical Christians, it recognizes two sacraments, Baptism and the Lords Supper. The provisions herein define and regulate DMI and those ministries describing the free and voluntary relationships which the Local Churches, Regions and Ministers sustain with DMI and with one another. The purpose of the Dayspring Ministries International shall be to "Reclaim the faith once delivered," offer an identity and spiritual home for evangelical churches, ministries, its ministers, pastors, evangelists, church formed in November, 2002, in Granbury, Texas as a non-profit, non stock fellowship. Dayspring Ministries International may choose, at the discretion of the Senior Presiding Pastor & Bishop, after input from the Board of Elders, to affiliate with any other Evangelical Organizations. The International Office shall always be located in the home office of the Presiding Archbishop or in an area designated by the Presiding Archbishop. The officers of Dayspring Ministries International shall be the Senior Presiding Pastor & Archbishop (1), The General Pastor & Bishop (2), Ruling Elder & Bishop (5 to 15 which makes up the Board of Elders along with the GPBs), the Regional Presiding Pastor & Superintendent (as many as needed), Area Pastor & Superintendent (appointed to work under the RPPAs as needed), District Pastor & Superintendent (occasionally appointed to assist the APSs), the President of the Historical Society and as such officers That DMI may from time to time determine. The Offices of the SPPA & GPB comprise the Executive Staff. Senior Presiding Pastor & Archbishop: The Senior Presiding Pastor & Archbishop (SPPA) is the Spiritual Leader of Dayspring Ministries International and the ECC & AECC. Upon death or resignation one of the GPBs will temporarily assume leadership of DMI until a successor to the office of SPPA can be determined. * The SPPA is responsible for insuring the purpose and mission of the Association/Church is carried out and that the Statement of Faith and the Constitution and Bylaws are strictly adhered to. The SPPA appoints All officers and leaders of DMI. The SPPA receives guidance, advice and suggestions from each General Pastor & Bishop and the Board of Elders. however, the Senior Presiding Pastor & Archbishop determines all final decisions pertaining to Dayspring Ministries International. General Pastor & Bishop: The General Pastor & Bishop (there are two, ECC & AECC) each is the assistant to the SPPA and usually next in line should that office become vacant. The General Pastor & Bishop is appointed by the SPPA and serves a three-year term and may be reappointed for an unlimited number of terms. Additionally the GPBs are the direct supervisor of the Regional Presiding Pastors & Superintendents and will seek to resolve any and all conflicts within the regions if called upon by any RPPS. Ruling Elder & Bishop: The Ruling Elder & Bishop (there shall usually be 8 to 15, or an amount determined to be needed by the Senior Presiding Pastor & Archbishop to the Support the Ministry of Dayspring Ministries International. The REBs will make up the Board of Elders and will be responsible for leading different divisions and/or departments of the Ministry. Each Ruling Elder & Bishop shall serve a three year term and be eligible for reappointment by the SPPA. There may be members at large on the Board of Elders. BOARD OF ELDERS: The Board of Elders, appointed by the SPPA, with options for reappointment, consists of at least five and no more than fifteen persons, each serving three-year terms. The duties and responsibilities of the Board of Elders are to assist, advise and counsel the SPPA and the GPBs as well as the RPPSs The Board of Elders has no decision-making powers. Elders or the SPPA for advice and counsel. Regional Pastors are under the direct supervision of there General Pastor. District Pastor & Superintendent: The DPS is occasionally appointed to assist the APS when an area reaches the size necessary to have multiple leaders. The DPS will assist the APS as needed. President Of The Historical Society: The Senior Presiding Pastor & Archbishop, with advice and counsel of the General Pastor & Bishop and the Board of Elders, appoints the President of The Evangelical Christian Church, Inc., Historical Society. The President shall serve for a term of four years and may be reappointed to another term. It is the duty of the President to overseer the Historical Society and to maintain historical denominational records. Each Minister, Ministry, Church and all other entities belonging to Dayspring Ministries International shall adhere to the Statement of Faith. It is suggested that each Regional Presiding Pastor & Superintendent and entities within his or her Region should follow the congregational polity of church government. Ordination as an ECC (Evangelical Christian Church) and AECC (Association of Evangelical Community Churches minister is available to all men and women called by God to the Gospel ministry who accept the Dayspring Statement of Faith. It is recommended that Candidates for ordination should have at least a Bachelor's degree in Christian Ministry, Theology, Bible or a related field and are encouraged to obtain a Masters Degree in a theologically-related field. If a person who is applying has been in ministry many years, experience may take the place of an acquired degree. All Ordination candidates must also complete a course ("Religion and the Law") through ICCT or CMI. Ministers from other evangelical bodies may be received by transfer upon acceptance of the Statement of Faith and resignation of any prior denominational ordination. Dual Ordination will be considered if a candidate will call or write requesting to retain ordination in his/her previous denomination or fellowship. Candidates holding no credentials must be ordained in a ceremony by the "laying on of hands." Regional Presiding Pastors may assist with this ceremony. Ordination is the rite whereby Dayspring Ministries International recognizes and authorizes one to perform the duties of ministry as is customary in Christian churches. All ordinations are approved by the SPPA and credentials come from the Office of the Senior Presiding Pastor & Archbishop. Ordination may consist of the laying on of hands in a local ceremony assisted by Regional Pastors or transfer of credentials from other evangelical bodies. Ministers of The DMI (ECC & AECC) do not hold membership in the Local Church. Their membership is in the National Body. A Minister of Dayspring, ECC & AECC may hold credentials in other bodies with the approval of the SPPA. Dayspring Ministries International shall maintain an historical society serving as a national repository for denominational documents and information. Lawfulness, ethics, values and character are vitally important to the DMI. The actions of Executive Officers and Regional Presiding Pastors cast a direct reflection on the Church and, in turn, to the work of the Church in God's service. DMI has a responsibility to address any issues of impropriety, founded or unfounded, brought forward. Privileges may be suspended until the resolution of any such claims providing no impropriety was committed. All Members, Ministers, College Staff and Faculty, Officers, Board members and Presiding Pastors may be disciplined or removed by the Board for conduct unbecoming a Minister of the Gospel, false statements, misrepresenting or calling into disrepute the ECC & AECC, convictions of criminal acts, actions contrary to the Dayspring Statement of Faith or any other actions the Board deems inappropriate. If there is an accusation or suspicion of sexual abuse by a member, the Executive Staff and Board of Directors MUST be notified immediately. The suspected abuse will be reported to the proper authorities immediately. DMI Staff will not interview the child regarding the suspected abuse; trained personnel will handle the process. All information about the suspected abuse must be kept confidential wherever possible. Immediate suspension shall result if a staff member is suspected of child abuse until a complete investigation and decision are made by the proper authorities. Discipline of members below the level of Presiding Pastor is handled by the Executive Staff and Board of Directors with input from the Regional Presiding Pastor & Superintendent assigned to that area. Dayspring Ministries international exercises limited control and authority over ministers, members, churches or any other entity belonging to Dayspring Ministries International. DMI does however reserve the Right to revoke ministerial credentials for violations of the Dayspring Code of Conduct. Regular meetings shall be held at least once per year at times and places fixed by the Senior Presiding Pastor & Archbishop and the Board of Elders. These meetings will be referred to as the Annual Meeting of the DMI General Conference and Assembly. These meetings may be held in person, via telephone or through online communications. For business purposes, DMI shall recognize July 1 to June 30, as our fiscal year. Meetings shall be conducted under the guidelines of the Holy Scripture and Roberts Rules of Order, i.e., they will be orderly for "God is not the Author of confusion." In the event of amending the DMI Constitution or By-Laws, the Executive Staff shall prepare the proposed amendments and present them to the Annual Meeting of the General Conference & Assembly. The Senior Presiding Pastor & Archbishop may, when the General Conference & Assembly is not in session, make amendments, after input from the Board of Elders. This shall be stated as by Executive Order. The SPPA may veto any changes made by the General Conference & Assembly. The GC&A may override the veto with a ¾ vote while in session. Voting is not the order of the day at DMI at the writing of this Constitution & By laws. If at a future date the Board and RPPSs begin to make decisions the following directions will be followed. All Regional Presiding Pastors & Superintendents in good standing will be eligible to vote and will be notified ten (10) days prior to the vote by posting on the DMI E-groups message board. As members may select several notification options through egroups it is the responsibility of the member to regularly check egroups, as there will be no further notification. Votes will be submitted by individual email to the designated General Pastor & Bishop who will tally the votes and post the results on the E-groups board. A deadline for submission of votes will be included in the Vote Warning. If the vote is for election of Board Members, a list of potential Board Members will be included in the Vote Warning along with a deadline for submission of votes to the General Pastor & Bishop. Votes for new Board Members will occur on or around June 1st of each year with the term starting on July 1. It is the responsibility of any member interested in a Board seat to notify the GPB prior to any impending election for inclusion on the list. Each potential Board Member may post a biography and/or a statement on the E-groups site during the 10-day period before the vote. Only those potential Board Members on the list will be considered for votes, no write in votes will be considered valid. Votes are cast by each Regional Presiding Pastor & Superintendent sending a personal email to the GPB who will tally the votes and post the results for the membership on the E-groups board. No votes posted publicly on the E-groups board will be considered a valid vote. In the event that the need arises to fill a vacant position prior to the end of the term for that seat, the Executive Staff will make recommendations to the Board of Directors who will appoint an interim person until the end of the existing term. A simple majority of those RPPSs who voted is considered valid for the vote to carry. In the event that DMI and it's executive officers and Board Of Directors votes to dissolve this association, no person shall freely assume any of the assets of the association individually. The assets of this non profit fellowship shall be sold or donated to another non profit entity, and all proceeds of such sale shall be turned over to another non profit organization and no officer, board member or general member shall profit from or benefit from the proceeds of any such sale, donation or merger. The Board of Elders or RPPSs may propose amendments to this Constitution and Bylaws. Such proposed amendments shall be submitted in writing to the Executive Staff (SPPA & the two GPBs) who makes the final determination, after advice and consultation with the Board of Elders, whether or not to adopt the changes.